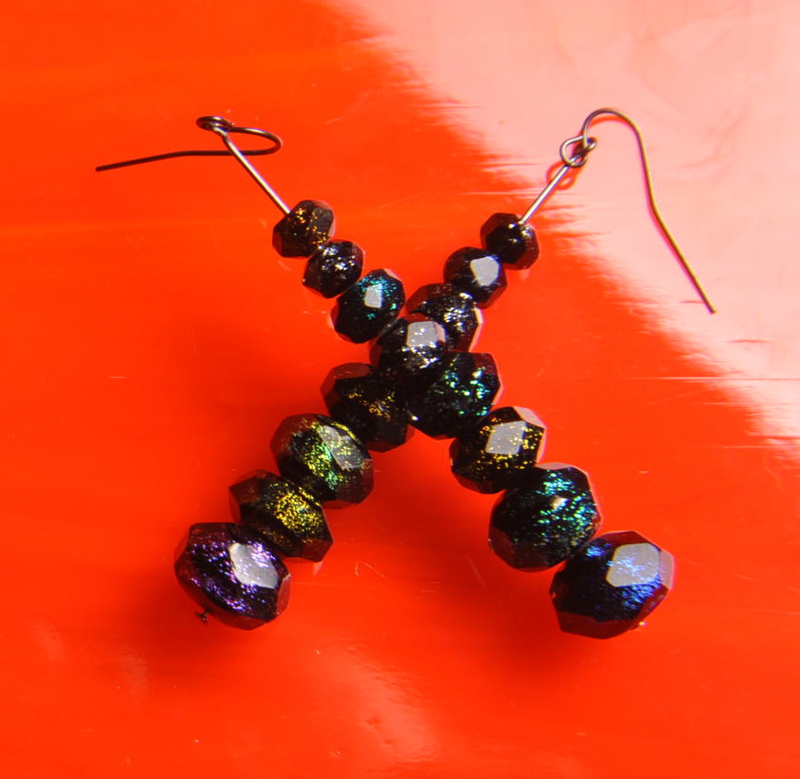 They feature a faceted finish to the surface of the dichroic glass. Made using gunmetal head pins and ear wires. They are made with a lightly metallic base glass and embedded dichroic glass elements. The ear wires are solid sterling silver. These brand new dichroic art cuff links are constructed in such a way that a kind of patchwork design is created. A nice mix of both warm copper/gold and cool green/blue coloring. Finished with sterling silver plated fasteners. Here is the newest pair of dichroic glass cuff links that are featured on forthepeoplejewelry.com. These will actually shift color when viewed from different angles - one of the neat visual qualities of dichroic glass art jewelry. The last pair of dichroic cuff links we shared on this blog were bought within a day's time! They are getting a great reception so far...thank you. Most importantly, I have to start by thanking Lara Michelle and Emkay Speights for taking me on years back and introducing me to the world of dichroic fused glass jewelry. Soon after arriving in the bay area, they hired me to help with the assembly of fused glass pieces for their jewelry production business Kali Designs. I truly admire their perseverance as a woman-owned and operated company that graced the world with their original creations for decades. I simply would not be where I am today without all their support and guidance over the last eight years. Now that I have focused on art glass crafting I am enthusiastically taking the medium in my own creative direction. I never tire of what the glass is capable of as it goes through it's repeated molten and cooling phases. I consider a catalyst by which the beauty of fused glass is able to be formed into one of a kind works of art.